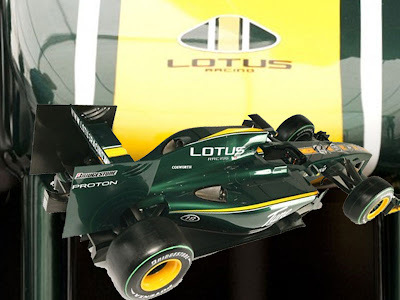 Lotus has just unveiled its 2010 Formula 1 car, after 15 years one of the most successful names in Formula One returns to the grid with the launch of the Lotus T127. 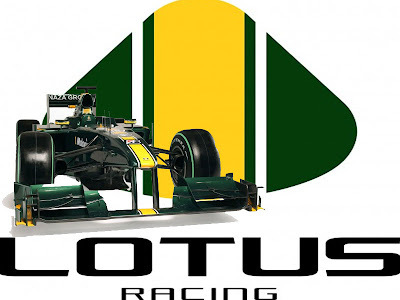 Backed by the Malaysian government, the new Lotus team will field two cars, driven by Jarno Trulli and Heikki Kovalainen. 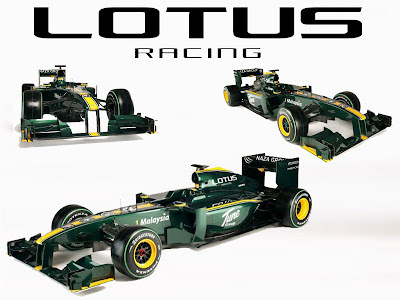 Lotus the T127 will be one of several cars using the latest Cosworth V8 this year. 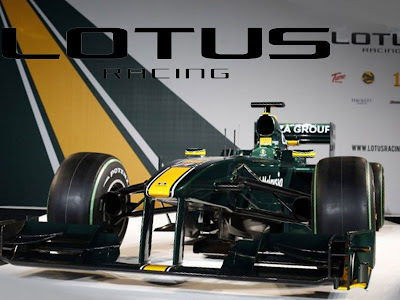 2010 Lotus Sport Cars T127 Formula One Racing is backed by the Malaysian Government - where Lotus owner Proton is based - securing the rights last year to the team's name and legendary green and yellow colours. Mike Gascoyne, technical chief for the T127, admitted the car was designed very quickly, the team revealing its car mere weeks ahead of the 2010 Bahrain F1 Grand Prix. 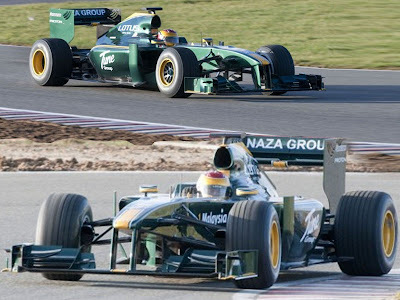 The Lotus T127 is powered by a Cosworth engine - another name returning to the sport cars after an extended absence - and will use an Xtrac transmission, in line with all 2010 teams, will be running on Bridgestone tyres.